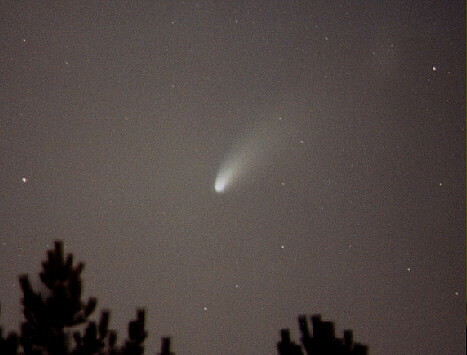 I viewed the comet Hale-Bopp on Saturday and Sunday from north Burlington while visiting my parents! It was really good. And it won't be back for 4300 years... City viewing is possible. You must be ready around sunset to 8pm. Well suited to binoculars. Set up the telescope in the Mt Nemo Conservation Area parking lot which generated a lot of interest with the other observers.